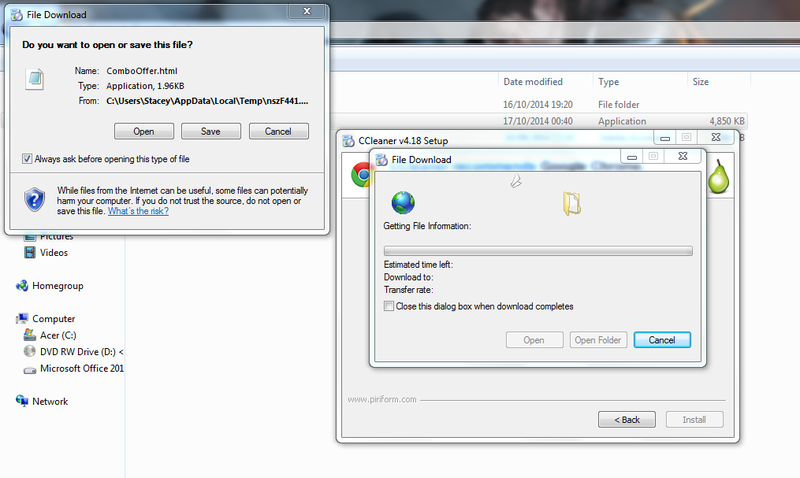 Hi, I seem to get the file download boxes (As shown in the screenshot) when trying to open different programs. It is possible that this is only programs with embedded htm or html files (Such as adverts and offers, etc). Note that the responders are questioning where he downloaded the source file from. Now, if you want more specific details regarding your issue, I would recommend you join the CCleaner forum and add your issue to that existing post (above).